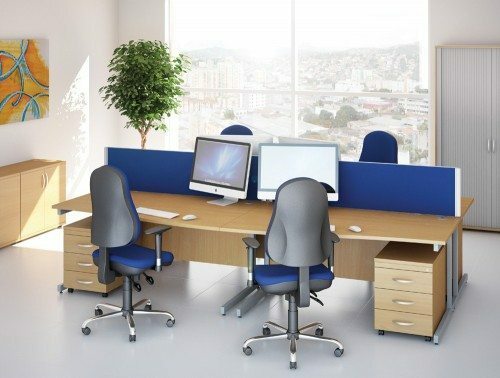 If you have a modern workspace you need to select office furniture that reflects your contemporary style. Our range of stylish office desks combines traditional and modern designs. Wave desks offer a perfect balance between tradition and modernity. Their wooden table tops represent the classical, traditional look of an office desk. At the same time, their wave shape offers all the benefits of modern ergonomic desks. And if you want a completely modern look, you can customise your desk with a metallic finish! Our wave desks come in different finishes including, white, beech, maple, oak or walnut. You can choose from a selection of up to 16-panel colours and 4 metal paint colours. In addition, you can choose cantilever or panel legs to suit your overall office design. The wave desks have plain tops or scallop tops for add-on portals and effective cable management systems. They also have additional or incorporated desk screens and modesty panels, perfect for creating organised individual spaces. Other additional desk accessories include monitor arms, CPU holders, desk-mounted screens, sit-stand desk mounts, cable spines and cable baskets. All our wave desks are impact and scratch resistant. Our office equipment suppliers are big brand names such as Adroit, Ergotron, Ashford, Sonix, Oplan, Trexus, Quando, Steelcase, Herman Miller and Buronomic. These brands are recognised as being the best in the business, offering office desks that are well-built, strikingly designed and made of high-quality materials. So whether you’re buying furniture on a budget or looking for solid wood executive desks for sale, we have the best quality products for you! For your staff, lockers can be of the utmost importance. Workers have plenty to worry about during their day to day activities without having to be concerned about the security of their valuables. In a large workplace, if desks are not lockable, staff are at risk of having some of their belongings pilfered should they step away from their workstation depending on the security arrangements. Providing lockable storage for your staff could help to provide a certain peace of mind in your workplace. This could even help to increase productivity now that employees have one less thing to worry about. Having lockers in a workplace would definitely be of the utmost importance in factories or in businesses where hot desking is in use. In factories, with clean rooms and rules and regulations, many workers are required to change into specialist clothing before they can start work. Full-length lockers are the correct solution to this. Factory workers can be secure knowing that their smaller valuables along with their civilian clothes are safe and secure in their staff locker. The issue in a workplace with hot-desking is that with no person has a set workstation. An employee can’t comfortably store any belongings at a desk as it will also be used by other workers. If a worker doesn’t have their own desk, at least if they have their own locker as a base to work out of and to store their belongings it will make life much easier for them. 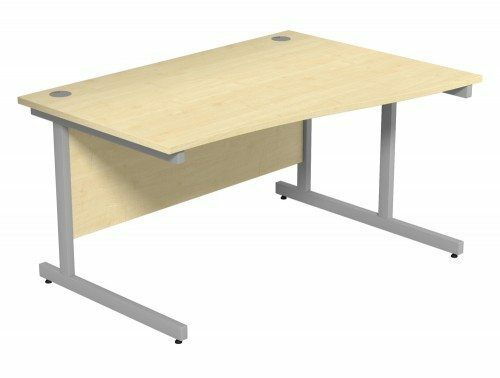 Are you looking for a home office desk online? Browse our website for wave desks with customisable finishes and varied sizes that adapt to your space requirements. Lighter colours make a space more luminous, increasing your creativity. Darker colours enhance the professional, business appeal of your home office. Are you decorating a more sizeable workspace? 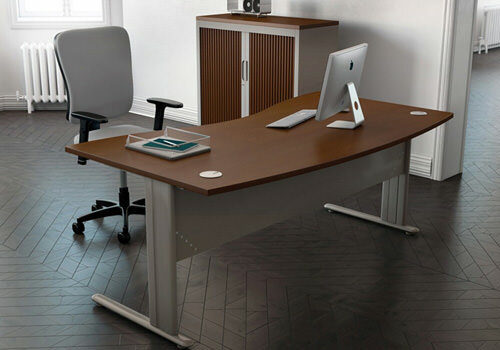 Then look at our executive desks with incorporated modesty panels and cable portals, available in oak and walnut. If you want to encourage collaboration, opt for a modular system. You can add detachable desk screens that create a sense of privacy and can be easily removed for meetings and collaborative sessions. Or else, opt for individual units with add-on accessories like desk mounts and CPU holders for a practical and modern design. 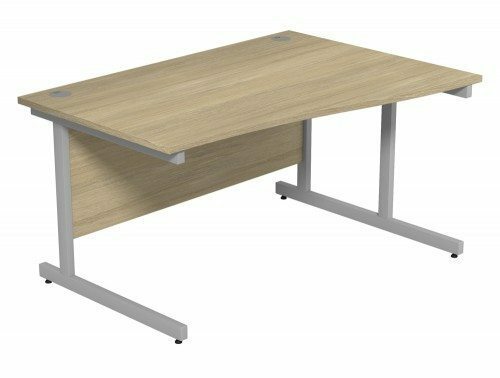 Each wave desk features a distinctive ergonomic ‘wave’ style table top, designed to make you more comfortable and to give your office space a modern touch. Wave desks are the perfect addition to your office. They give it a real sense of modernity and style! 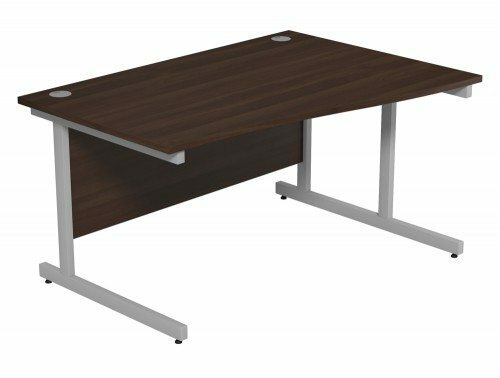 Whether you want a traditional wooden desk with brushed metal cable parts or a modern wave desk with built-in cable management we have something that fits your vision! We have a wide range of prices, from cheap office desks to suit your budget, to a more opulent style that reflects your growing business. Select your finish from a choice of traditional styles such as beech, cherry, walnut or oak; or create a modern look with a black or white wave desk. 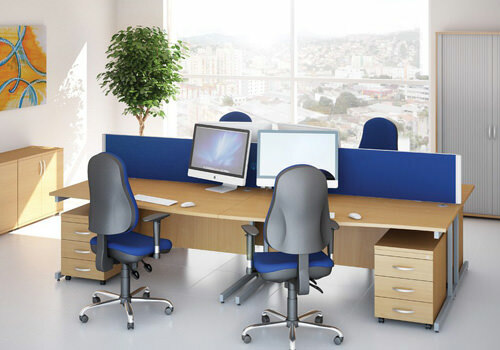 Browse our range of modern office furniture and find the perfect wave desk for you! Whether you’re looking for modern home office furniture or solid wood executive desks, we have something for every taste. And if you can’t find what you need, don’t hesitate to give us a call! Our space planning team is here to help you choose the furniture that best suits your office requirements. If you’d like to find out more about our range of Wave Desks or discuss your requirements, simply request a callback.